I could say that it all started in 1942, when Disney released 'Bambi' into theaters, but I wasn't even born then -- trying to look at this from a personal perspective here. As the matter of fact, I can't even remember the first time that I saw the movie. 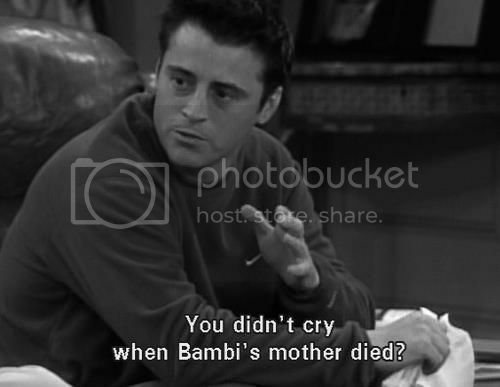 I guess I've been trying to block those memories; that traumatic Bambi / hunter / mommy-scene did some serious damage. 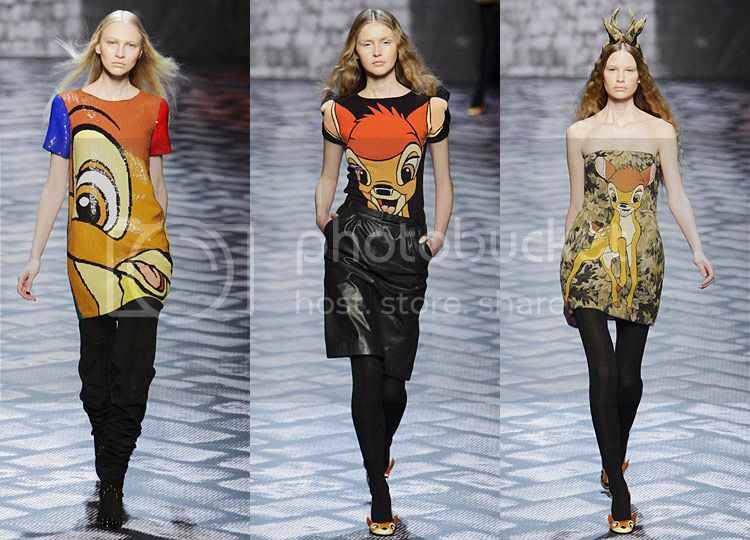 I can, however, clearly recall the first time that I saw Jean-Charles de Castelbajac's Bambi-themed F/W '10-'11 collection. All items went straight onto my wish list, but I never managed to get my hands on even one of them. I was absolutely devastated -- no joke. 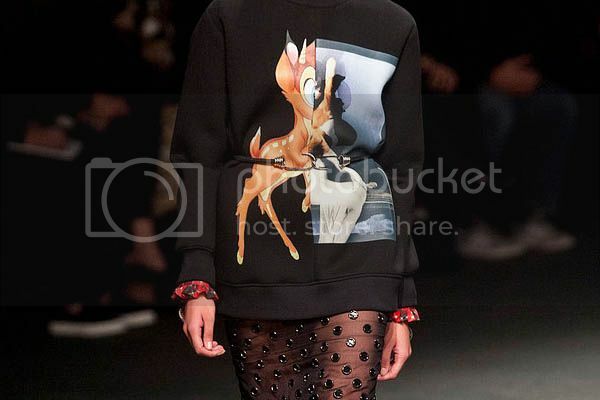 And now, Givenchy has designed a Bambi-printed sweater for their F/W '13-collection. And we all know that whatever sweater Givenchy creates is bound to go hard. Carine Roitfeld was already spotted wearing it, as was Amanda Seyfried on the cover of Vogue, so it's only a matter of time before it's sold out (remember the Rottweiler-version?). If you have about € 850 to spend, you can get it at LuisaViaRoma here. Since I can't really miss € 850, I'll stick with my Sugarhill Boutique versions, which are super affordable and equally stylish and cute. The blue blouse on the left looks great with a pair of skinny jeans or tucked into a pencil skirt (get it here or go for the dress version here). The grey sweater on the right has quickly become my best friend the past few days, since it's freezing and raining here in Belgium. It's the perfect item to add that little extra something to a casual outfit (get it here). 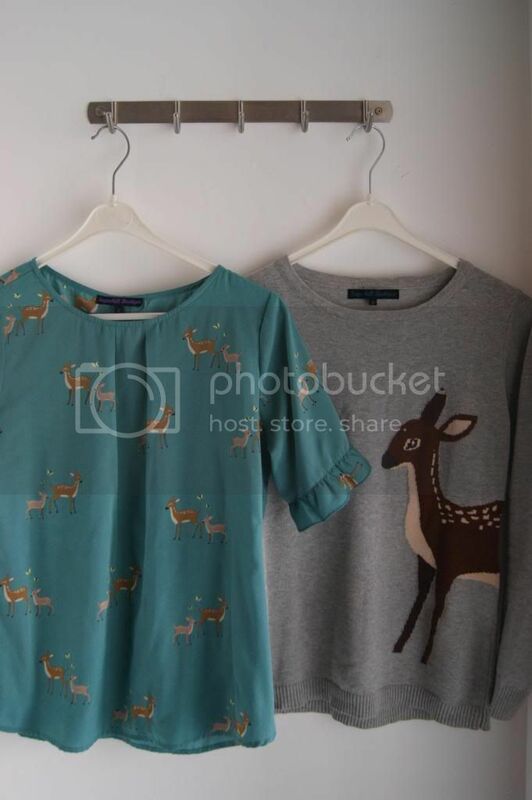 Die grijze bambi trui is geweldig! Haha leuke post, die derde look op die eerste runway foto is zaaaalig! Hey! I recently met your blog, and i only want to say that since now i’m your new follower, you’re fantastic, so trend. I hope you can follow back! This is actually kind of cute! 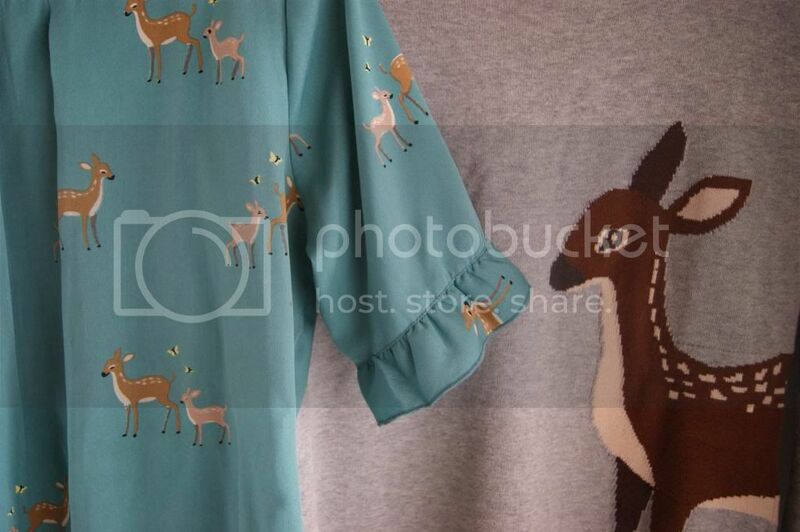 Oh this is so lovely, I love the blue print, and my daughters would go crazy on it! Ohhhh ik wil ze beide.. waar in leuven zijn ze te koop? Je kan het best op www.munt-webshop.be kijken!